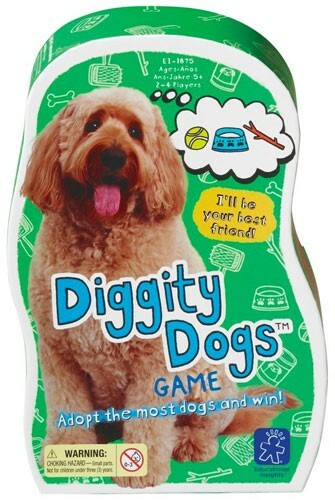 Dog lovers will love this fun card game where the aim of the game is to adopt a new furry friend! 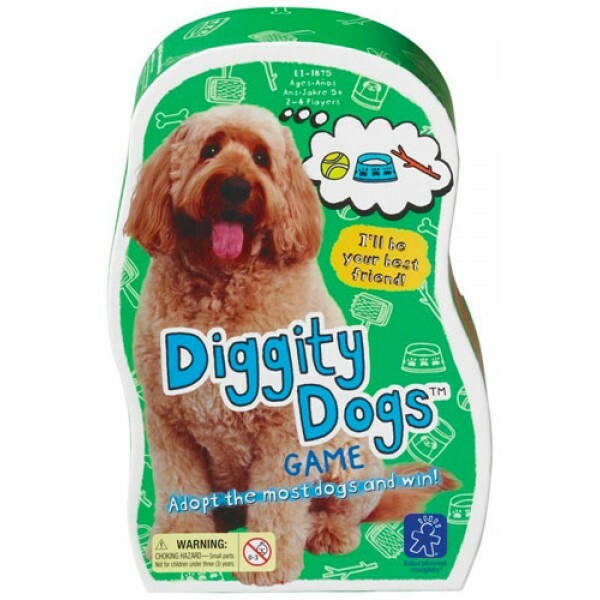 In this card collecting, card-matching game from Educational Insights, you draw cards or "go fish" from another player's hand to collect cards that match things that one of seven dogs wants. To adopt a dog, you need to collect all three things it's dreaming of, but others might want to adopt that dog too. 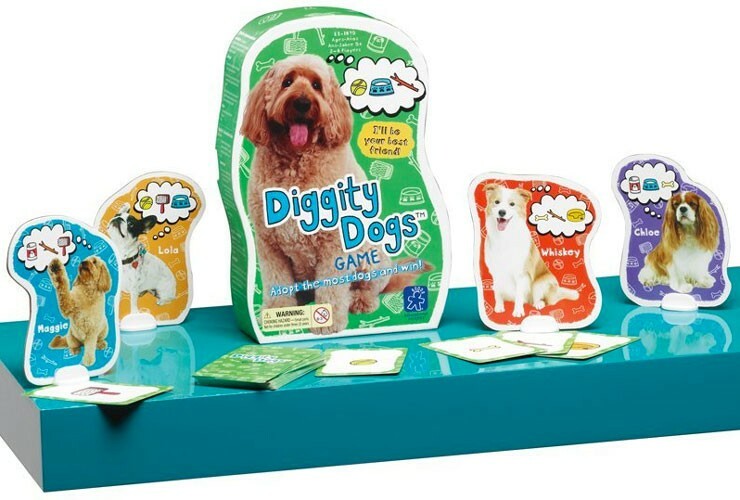 This game for 2 to 4 players includes 7 die-cut dogs with stands, 28 playing cards, and instructions.